The Indonesian government needs a strategy to address growing religious intolerance, particularly in areas where hardline Islamists and Christian evangelicals are competing for the same ground. 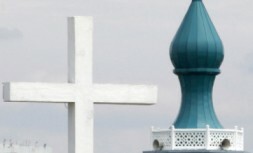 Indonesia: “Christianisation” and Intolerance,* the latest briefing from the International Crisis Group, examines the impact of clashing fundamentalisms, using a series of incidents in Bekasi, a suburb of Jakarta, as a case study. Islamists fear “Christianisation” - a term that generally refers both to Christian efforts to convert Muslims and the alleged growing influence of Christianity in Muslim-majority Indonesia - and use it as a justification for mass mobilisation and vigilante attacks. Aggressive proselytising by Protestant evangelical groups in Muslim strongholds has exacerbated the problem. “Without a clear strategy, mob rule prevails”, says Sidney Jones, Crisis Group Senior Adviser. “All too frequently officials capitulate to the group that makes the most noise, and the victors are then emboldened to raise the stakes for the next confrontation”. The briefing looks at the growth of Protestant evangelicalism in West Java and the Islamist backlash. It examines how activities of one organisation in Bekasi, accused by Islamists of luring the Muslim poor into conversion, fuelled the rise of an “anti-apostasy” coalition that since 2008 has tried to force its will on the local government with occasional success. It has been particularly active in trying to prevent the construction of churches. A violent clash in Bekasi in September ignited a debate over whether in the interests of freedom of religion, a national regulation requiring community support for the construction of houses of worship should be abolished. While many Muslims, Islamist and mainstream alike, back the decree, so do many Balinese Hindus, Protestant Papuans and other groups worried about Muslim migration to traditionally non-Muslim areas. “Officials and legislators talk of the need for ‘religious harmony’, but there is a sense that this can be legislated or even imposed”, says Jim Della-Giacoma, Crisis Group’s South East Asia Project Director. “Instead it will require some of the wisest heads in Indonesia to understand the sources of tension and come up with policies that can change attitudes and decrease confrontation”. “Christianisation” also has the potential to become a driver of violent extremism. In 2008, members of a non-violent anti-apostasy group in Palembang, South Sumatra, were radicalised after a fugitive terrorist persuaded them to try to kill pastors aiming to convert Muslims rather than just railing against them. Several men currently on trial for participating in a terrorist training camp broken up in February 2010 have said that one factor that led them to join was concern about “Christianisation” in Aceh. “The potential of the ‘Christianisation’ issue to bring non-violent and violent Islamists together is just one more reason why the problem of growing intolerance should not be allowed to fester”, says Della-Giacoma.